As some of you know from my photo on Facebook last week, I received a pack of Paleo Wraps to try out. I’ve only eaten two of the wraps so far, in the form of this recipe and let me tell you, it is amazing — the wrap and all! The sweetness of the banana, the spice of the curry, the creaminess of the sunflower seed butter and the fresh flavor of the chard combine beautifully. 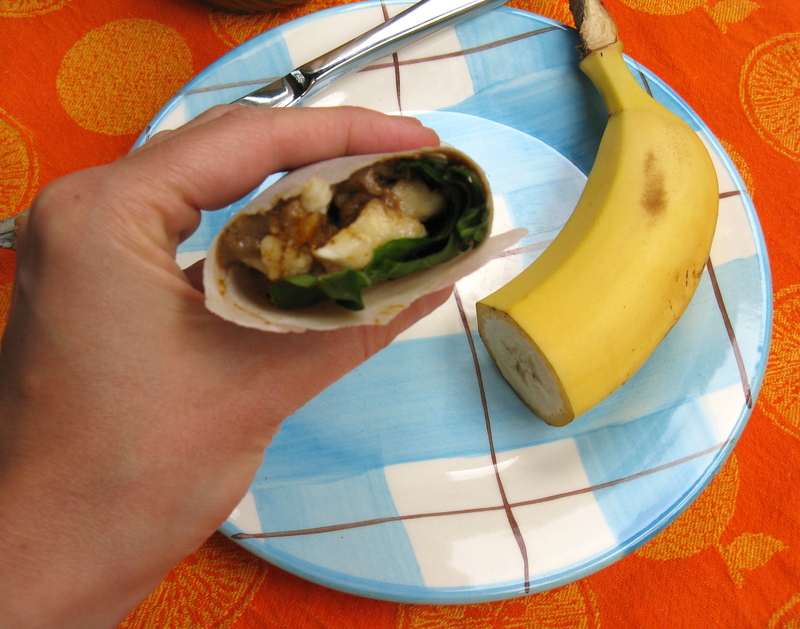 And, the wrap is the perfect vehicle for all the ingredients and holds together well. 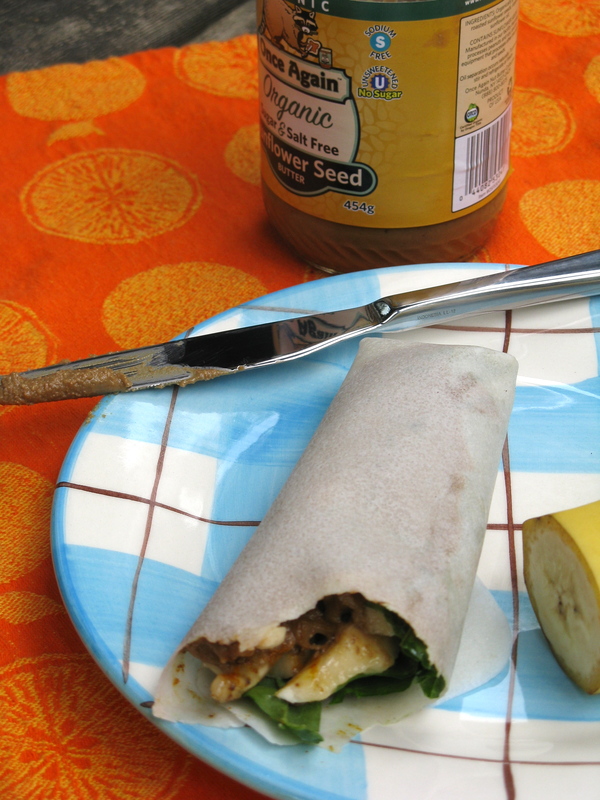 There’s a slight crispness and crunch from the wrap and the chard, but the softness of the banana and sunflower seed butter complement it nicely. In a nutshell, this wrap is downright rad! *Note, if you don’t have access to Paleo Wraps, you can simply wrap the banana strips, sunflower seed butter, curry and sea salt together inside a whole, stemmed chard leaf. 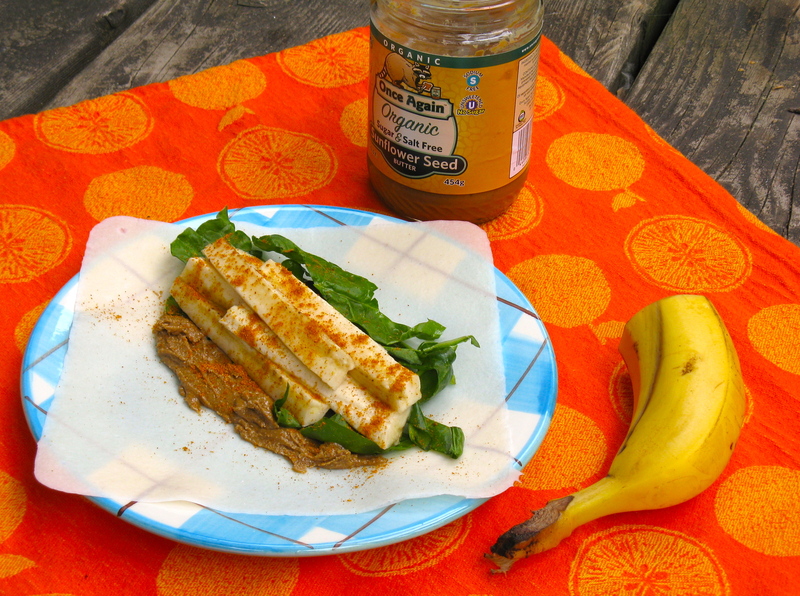 Place Paleo Wrap on a plate and spread a thick smear of sunflower seed butter in the middle. Sprinkle with sea salt. Next, place the chard and banana strips in the middle of the wrap, atop of the sunflower seed butter or just to the side of it. Sprinkle with curry powder. Savor, indeed! And, you know me, I don’t even like bananas! I’d really like to try the wraps someday soon. Maybe I’ll use pears instead of bananas.